University of Washington Press, 9780295993324, 323pp. Why do so many Americans drive for miles each autumn to buy a vegetable that they are unlikely to eat? While most people around the world eat pumpkin throughout the year, North Americans reserve it for holiday pies and other desserts that celebrate the harvest season and the rural past. They decorate their houses with pumpkins every autumn and welcome Halloween trick-or-treaters with elaborately carved jack-o'-lanterns. Towns hold annual pumpkin festivals featuring giant pumpkins and carving contests, even though few have any historic ties to the crop. 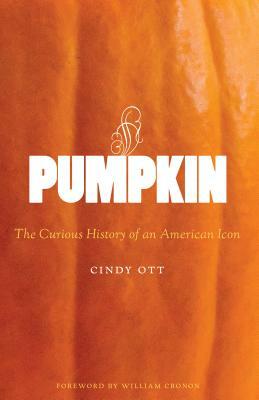 In this fascinating cultural and natural history, Cindy Ott tells the story of the pumpkin. Beginning with the myth of the first Thanksgiving, she shows how Americans have used the pumpkin to fulfull their desire to maintain connections to nature and to the family farm of lore, and, ironically, how small farms and rural communities have been revitalized in the process. And while the pumpkin has inspired American myths and traditions, the pumpkin itself has changed because of the ways people have perceived, valued, and used it. Pumpkin is a smart and lively study of the deep meanings hidden in common things and their power to make profound changes in the world around us. Cindy Ott is assistant professor of American Studies at Saint Louis University.